Microsoft will offer 'instant-on' 1080p HD movies, along with free Last.fm to all Xbox Live Gold subscribers and Facebook and Twitter through its Xbox 360. E3 started with a triumphant conference from Microsoft - who not only showed off a host of major games, including Forza Motorsport 4, Left4Dead 2 and the previously PlayStation exclusive Metal Gear Solid - but also made some key announcements around Xbox Live. In a series of rapid-fire announcements that were put out before Microsoft moved on to its show-stealing Project Natal, Xbox Live was given a real makeover, with the incorporation of some major new features. Microsoft had talked about 'completing the circle' last week as it announced the arrival of Sky Player, and it ins not just the UK that will be receiving major video changes. Zune Video was announced last week, but the service will apparently incorporate live streaming 1080p video on demand – or what Microsoft termed 'instant on' 1080p. Microsoft did not expand on how that would be delivered through people's broadband connections, but it does beg the question as to why the Sky Player was not given an HD option. 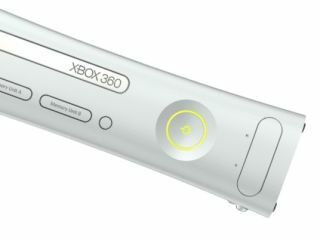 Another major change for Live will be the arrival of both Facebook and Twitter to the Xbox 360. The products have been optimised for the current Xbox NXE GUI and will slot straight into the look and feel of the console. Earlier, Microsoft had also announced a partnership with Last.fm which will see Xbox Live Gold subscribers given free access to the music streaming service.